Boeing, Airbus and KLM are just some of the companies working overtime to provide clearer routes from education to a career in the aviation sector. Here, we’ll explore some of the latest initiatives and how they aim to help bring more talented individuals into the industry. How are aviation’s big players setting the stage for the next generation? Based on a seven-week educational programme (focusing on aerodynamics, manufacturing and collaboration), Boeing has challenged university students to design, build and fly an aircraft. The initiative, dubbed the ‘Design-Build-Fly Challenge‘, is based on NASA’s AerosPACE model. Students will be mentored by Boeing engineers throughout the programme, which will see them design and construct their very own unmanned aerial vehicle (UAV). Engineering students from universities across the US will take part. They’ll be given access to cutting edge technology to complete the task, including 3D printers and advanced computer design tools. There’s an equivalent for school-aged kids, too. The Curiosity Machine asks students to use household items to complete smaller challenges, such as “Engineer a self-deploying device”. Airbus provides a range of challenges faced by the aviation industry today. Students must come up with an idea for solving one of the challenges, before testing and prototyping their concepts. Students gain access to an online community (featuring mentors from Airbus, academics and other students) in which to discuss their ideas. The competition takes place over three increasingly difficult rounds. For the latest edition, five finalists pitched their concepts to Airbus judges and industry experts on 16/17 May. KLM – which has one of the largest industrial design faculties in the world – has just launched the ‘Design Doing’ initiative in collaboration with TU Delft. Over the next five years, university students will be brought into KLM’s operational environment and mentored by two PhD candidates from TU Delft. They will also get to speak with passengers and staff about the challenges they’re facing while flying. After this, a new KLM product or process will be launched. An example of a successful design created through this initiative is the Underage Minors programme, which uses QR codes to track unaccompanied minors as they fly. 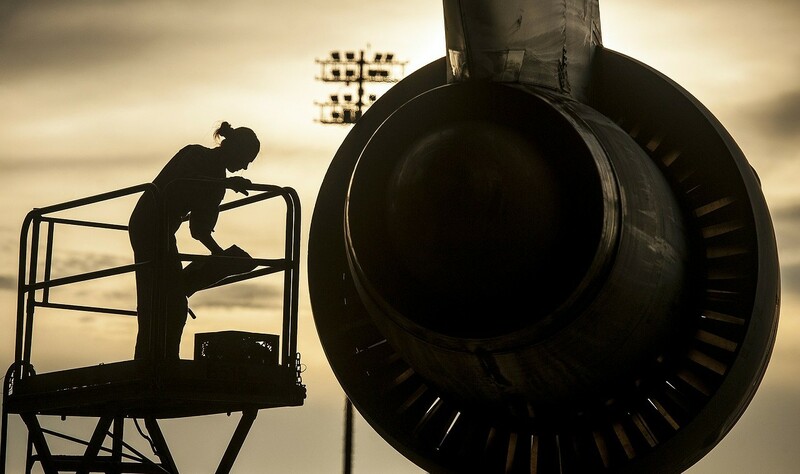 Creating more defined pathways leading from education to a full-time aviation career is crucial for overcoming the industry’s skills shortage and securing the workforce of tomorrow. If you’re looking for a scalable recruitment solution that takes advantage of these initiatives, and can provide candidates with all the right skills today, then AeroProfessional can help. Discover more about the recruitment techniques being deployed by some of the industry’s biggest players by calling on the experts at AeroProfessional.